WedsSport Wheels are the performance oriented wheels for JDM Wheels company Weds Wheels. Pictured at bottom are: WedsSport TC-05 a one piece 8 spoke wheel, WedsSport RS-5 SS Hyper18 a two piece bolted wheel, WedsSport RS-5 SS a two piece welded wheel, WedsSport RS-5 5 soke wheel, WedsSport MAG one piece wheel. 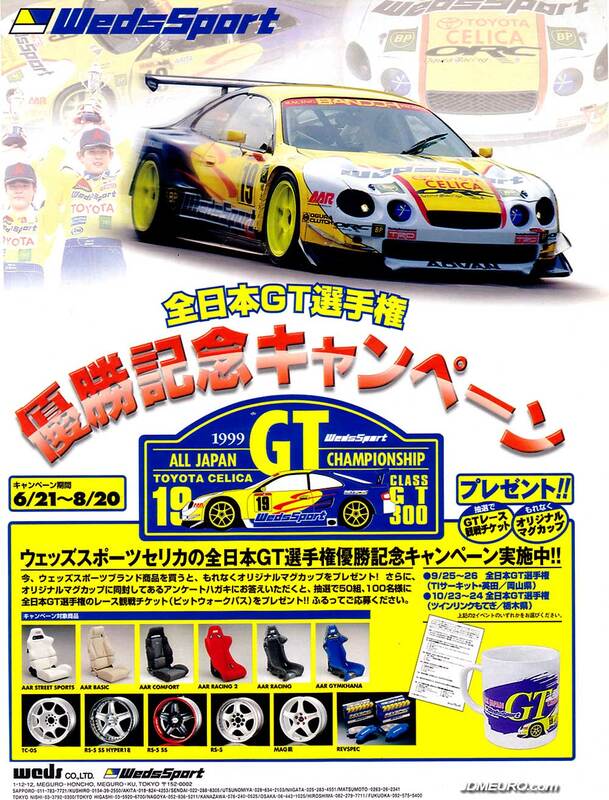 Illustrated, are the WedsSport TC-005 on a Toyota Celica ST205 199 All Japan GT Championship car.